York & District Trades Union Council Uncategorised Hands off our NHS! Saturday 6th April witnessed activists from all over Yorkshire gather in York to fight to defend our National Health Service. The march was organised to highlight and oppose the further fragmentation and privatisation outlined in the Governments Health and Social Care Act 2012, which came into practise at the start of the month. The march was well attended with around 700 people taking to the streets. 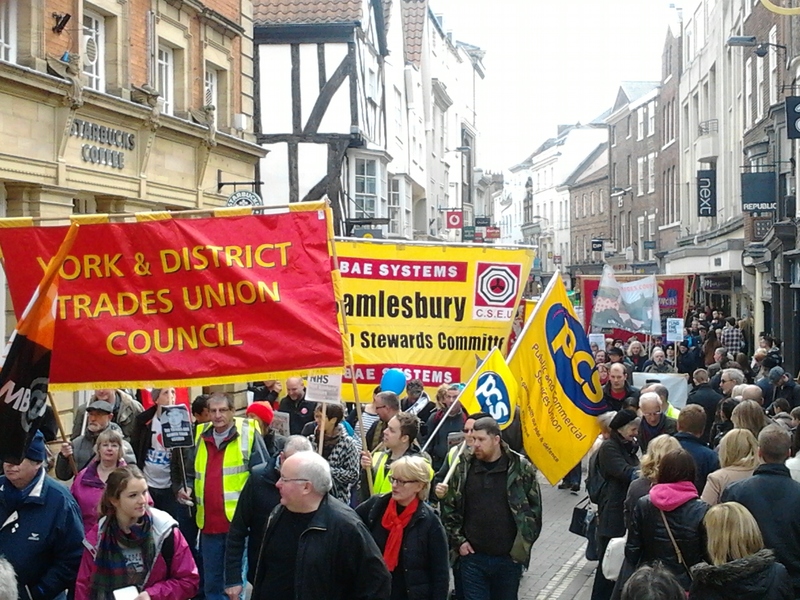 Joining York TUC were fellow Trade Union District Councils – including neighbouring metropolitan city Leeds – as well as various activists from the delegated unions fronted by the PCS marching band.